Think your business is safe from threats? Think again! These days, businesses in Singapore are quick to embrace the digital revolution. This era of connectivity means that smartphones, PCs and even the software and apps that you deploy are working seamlessly to deliver instant, effortless collaboration and productivity wherever you are. And that’s great! However, while your organisation is busy safeguarding your network, servers, computers and mobile devices from ever-evolving security threats, there is one glaring area that remains frequently overlooked – your printing and scanning solutions. Your printer and scanner could be the weakest link. Think about it. With networked and cloud-connected business printers, Multi-Function Centres (MFCs) and scanners becoming ubiquitous in today’s departments and small offices, it’s now easier than ever before to print, scan, send, and receive data from just about any connected device. While this is great for your business processes, the same valuable, and often sensitive data can be easily stolen by hackers. So you’ve prepared that confidential quote, design blueprint, or list of client details, and sent it over for printing. In the short time it takes for you to walk to the printer to collect it, what’s stopping someone from taking it or making a copy of it before you reach? Unless you’re prepared to sprint to the printer several times a day, why not invest in a printer that will hold the print job and only release it when a password or NFC ID card is used at the device itself. Once you’ve scanned that important document at your MFC or scanner to archive or share with your colleagues and clients, how do you ensure it won’t be accessed by unauthorised parties? A simple solution: Look out for MFC and scanning solutions with Secure PDF function, a feature that allows you to create special password-protected PDF documents and scan these directly to a network folder right at the machine itself. Hackers these days are using increasingly sophisticated means to steal valuable data. That includes exploiting weak points in your printing environment’s network to intercept print and scan jobs as they are being transmitted. What can you do about it? Take the lead from government, financial or legal organisations, and choose solutions that feature robust, industry-standard security features such as IPsec (Internet Protocol Security) and SSL (Secure Socket Layer) that encrypt sensitive data sent over the network. For an extra layer of protection, some machines are capable of Scan to SFTP (Secure File Transfer Protocol), enabling you to set up a highly encrypted data stream that ensures your information is shared safely. Did you know that anyone can simply walk up to your printer or MFC, and change any settings or user configuration? While this might seem to be just an annoyance, the true threat lies in the fact that someone could easily configure your machine to gain remote access and route every print or scan jobs to themselves. To mitigate this, businesses should consider print and scan solutions that allow them to restrict access to the device’s control panel, disable specific tasks such as remote configurations, and manage specific functions that individual users can access on the machine. 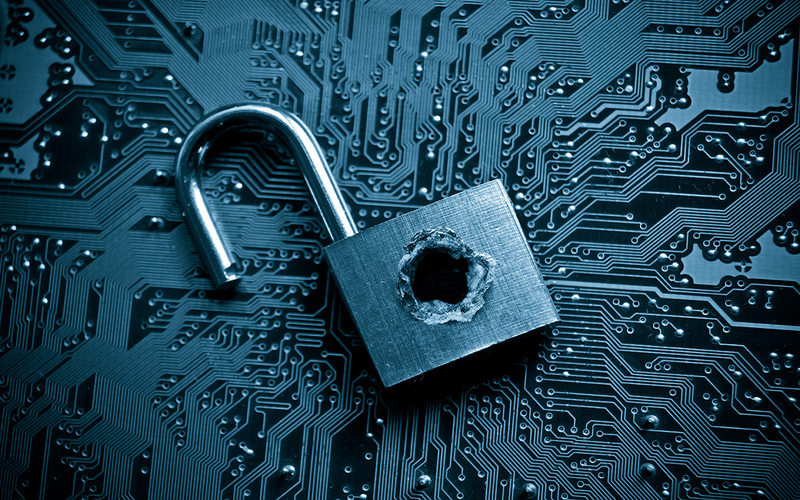 While there’s no way to ensure that your company is 100% safe from security threats, it’s always good to be aware of the potential risks your print environment could be exposed to. Thankfully, office technology has come a long way in recent years, and as the business choice winner for 6 years, Brother is a proven leader in delivering secure, productive, and affordable printing and scanning solutions to businesses around the world.